Germany-based Heukäufer Folien has deployed BST eltromat web guiding systems to enhance and ensure the quality of its flexible packaging output. 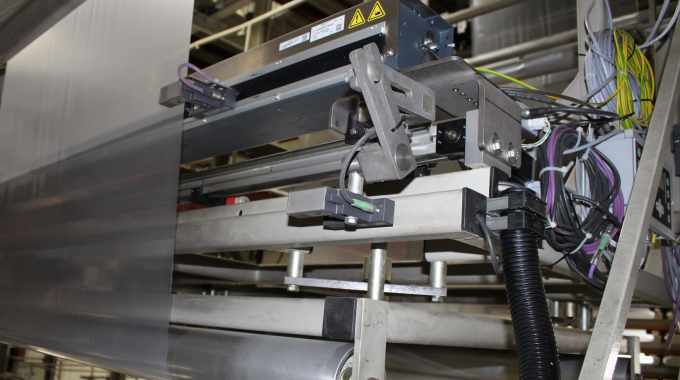 Based in Herten, Germany, Heukäufer Folien has served as the beta test for BST Eltromat’s FVG POS 100 sensor positioner and ekr 500 digital unit touch controller. The web guiding systems are playing a key role in quality assurance, with the web center-line guiding, utilizing ultrasonic sensors, guiding the webs accurately through the machines for the manufacturer of sophisticated foil bags and carrier bags. FVG POS 100 sensor positioner and ekr 500 digital unit touch controller were introduced last year. FVG POS 100 has replaced an older web guiding system on a mono-extruder at Heukäufer Folien. The 24-hour operation of this extruder with a comparatively high ambient temperature was seen as the ultimate test for the new technology. Peter Schubert, technical director at Heukäufer Folien, explained: ‘To be on the safe side, we initially left the old technology in the mono-extruder. BST eltromat installed a switch for us, so that we could activate the old web guiding system again at any time.’ The switch was not needed. Both FVG POS 100, developed specially for wide webs, and the ekr 500 digital unit touch controller were said to have functioned ‘flawlessly’. The intuitive color LC touch display of the ekr 500, with the ekr commander, shows the web position, the sensor covers, and the position of the actuator with easily readable graphics and symbols. This has provided ‘considerably increased user-friendliness’, according to Schubert. Further, Heukäufer Folien is exploiting every technical possibility to reduce the use of materials in its packaging production. Whether it’s in the fruit, vegetables, frozen foods, animal feed or gardening sector, customer demands for high-quality, functional and environmentally friendly flexible packaging are rising constantly. 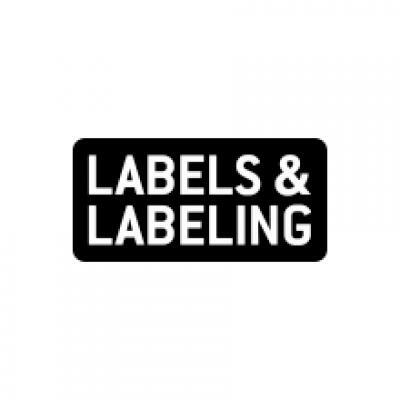 This include up to 100 percent recyclable raw materials, smaller bag formats and thinner foils. The web guiding systems from BST eltromat have allowed quality assurance to continually grown in importance amidst the sometimes competing demands of quality, functionality, economy and sustainability. For printing, Heukäufer Folien uses machines equipped with swivel roller guides after rewinding and pivoting frames before printing. Both web guiding systems enable off-center operation, which prevents the rollers from being worn down. In addition, older Premius web monitoring systems from BST eltromat are installed on the flexo printing machines to inspect static printing defects. Throughout manufacturing, the web guiding systems ensure that the bags and banderoles are precisely overlaid, including the edge strips. Four of the machines and one slitter have been retrofitted with the latest technology from BST eltromat. For example, in the slitter, a CLS Pro 600 digital sensor efficiently supports the precise cutting of the parent rolls into banderoles by using a color sensor to scan line and contrast edges on the printed foils. The automatically controlled LED lighting guarantees optimum lighting conditions. This all supports the environmental goals of Heukäufer Folien, with the low-maintenance electrical systems consuming little energy and minimizing waste, both in the production and conversion of foils. ‘BST eltromat is an important partner with whom we are in constant discussion regarding how we can further optimize our processes and so offer our customers even better products,’ concluded Barth.